Fine Art Photography of Waterfalls in the Western U.S.
Bridalveil Falls, in Yosemite National Park, California, is a classic example of a hanging valley. The Pleistocene-age glaciers that scoured Yosemite Valley carved away at the granite and granodiorite, undercutting the side canyon now hanging 620 feet (189 meters) above the valley floor. 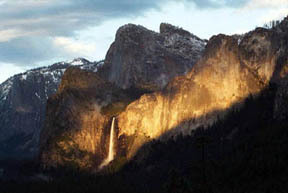 The angled peaks behind Bridalveil Falls are the Cathedral Rocks. 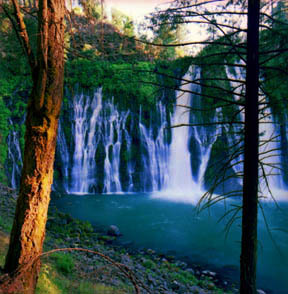 Burney Falls lies in a remote location in northeastern California. Note that the river forms the two main waterfalls. The remainder of the cascade is actually groundwater seeping out of a permeable zone below the river level. 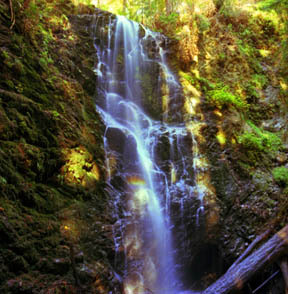 Berry Creek Falls is located in Big Basin Redwoods State Park, California. Walking up West Berry Creek from its convergence with West Waddell Creek, the first, and most impressive of the string of falls along the Berry Creek Falls Trail, is Berry Creek Falls. Cascading down 70 feet (21 meters) through lush ferns, if you catch the timing right, you might see a rainbow segment as a sliver of light works its way through the redwood forest. Traveling upstream from Berry Creek Falls, you next encounter Silver Falls. 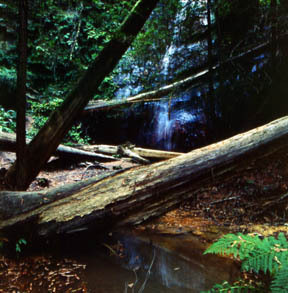 The falls are hidden behind fallen redwood trunks, some of which were fallen by the El Niño storms of 1997-98. Unlike the other falls along the Berry Creek Falls Trail, Silver Falls is more free falling than cascading. Continuing upstream from Silver Falls are the cascades of the Golden Falls. 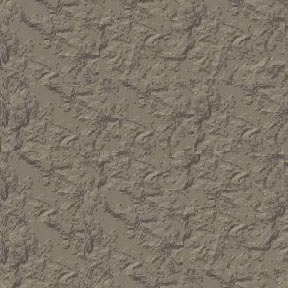 Deriving its name from the iron-oxide staining of the slick sandstone surface, these falls roll down steps just like those slides you ride down on pieces of carpet. This view is of the uppermost section of the cascades. 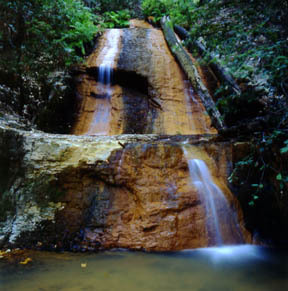 Easily accessible from the Sequoia Trail, Sempervirens Falls is a 25-foot (7.6 meter) chute along Sempervirens Creek, also in Big Basin Redwoods State Park, California. Nested in the heart of an old growth redwood forest, Sempervirens (which means evergreen) is an appropriate name for the creek and the falls. 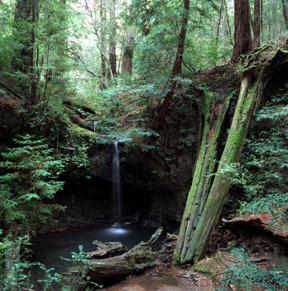 Back to images of Big Basin State Park, California.